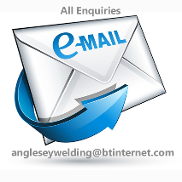 Anglesey Marine Supplies, Online chandlery supplies and goods. Manufacturers of dinghy launching trolleys, Outboard brackets and Boat trailer rollers and bunk to rollers conversion kits. Boat seats all in stock, Large range of boat fenders. Outboard engine brackets manufactured along with boat trailer rollers and conversion kits. 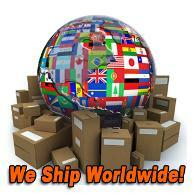 We are the most comprehensive chandeliers on the internet with over 4000 lines in stock. Everything on one website from boat steering cables, bimini sun covers and boat sun canopies, outboard engine brackets, spares and fuel lines and outboard fuel connectors. Quality Chandlery Direct. All the boat parts and stuff you will ever need for your Boat, Pwc, Jetski, Powerboat etc. All items also stocked for the Rowing, sailing, wakeboard and waterski enthusiast. New this year our unique folding outboard engine trolley. This year we have a full range of outboard engine boat fuel tanks in stock along with boat fuel lines to fit all outboard engines. We are also leading manufacturers of Dinghy Launching Trolleys, Boat Trailer Rollers and Bunk Trailer Conversion Kits and Boat Roller Carriage Kits. BUY DINGHY LAUNCHING TROLLEYS DIRECT FROM THE MANUFACTURER. this year we launched our folding dinghy launching trolley fitted with a rear webbing strap to carry laser 1 dinghies. Boat Seats, Boat Seat And Table Pedestals, Outboard Engine and Jetski Repair Workshop Manuals And Outboard Engine Paints, Ultraflex and Teleflex Boat Steering Cables, Boat Steering Wheels, Helms also Outboard Control Cables and Boxes. Trailer Components Parts and Spares are also available at the right price including boat trailer rollers and Rubbers, Trailer Wheels And Tyres, Trailer Suspension Units, Trailer Lights, Boat Trailer Winches, Jockey Wheels etc. Renewable Energy products also available, Boat Wind Turbines, Boat Solar Panels etc to keep those Boat Leisure Batteries in topped up condition. We also stock Dinghy Launching Trolleys, Boat And Dinghy Launching Wheels and Carts for Boats, Inflatables, Kayaks and Canoes New for 2015/2016. Anglesey Marine Supplies now supply a range of Titanium Wetsuits For Adults And Children at bargain prices. Large choice of boat lights and boat navigation lights. Boat fuel tanks and boat fuel tank fittings also in stock. Competitively priced outboard brackets and outboard trolleys.Rule bilge pumps and boat bilge pumps and hoses, fittings etc supplied. 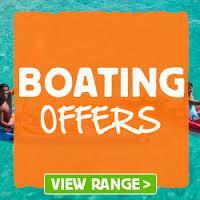 Waterski, Wakeboard and Kneeboards in stock at low prices. We now also supply direct Europa Sports Inflatables. Quality range of outboard covers and boat covers and jet ski covers for all jetskis in a range of colours.